Best-selling author Herve Tullet extends an irresistible invitation to young children to whisper, sing and shout their way through another magical book experience. Let’s make some noise! Shout OH! Whisper AH! 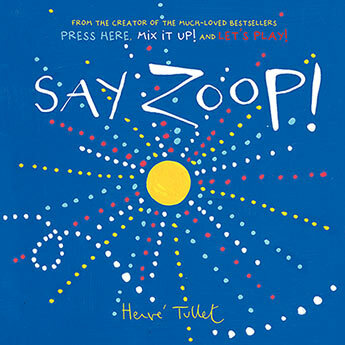 Say ZOOP! Simply turn the page to embark on a magical journey of sound, colour, motion and imagination.